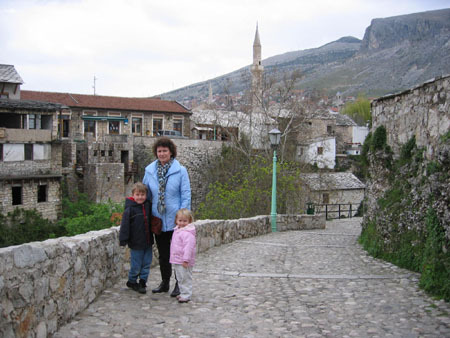 Mostar was our third destination after Split and Zagreb. From Split we took the E65 towards Dubrovnik. At Opuzen we took the E73 to Mostar. It is all just two lane road, sometimes quite small and leading through villages. Because of the hills at the Croatian coastline heavy trucks slow down other traffic. Be prepared for extensive travel time because kilometers do not only count. 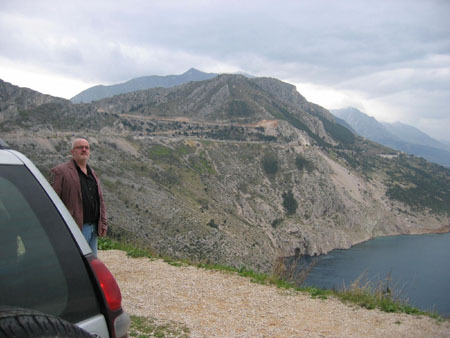 For example, the distance between Split and Mostar is roughly 180 kilometers but it will take you at least 3 hours. 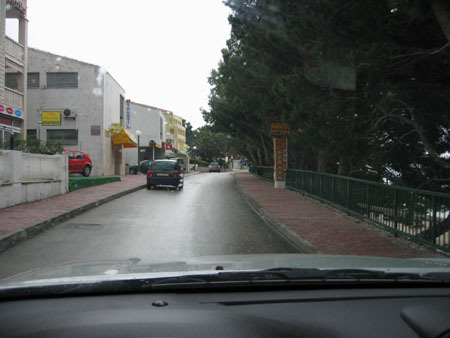 In summertime traffic will be even worse will all the tourists using this road to go to Dubrovnik. We arrived in Mostar around 12.30. Passing the border between Croatia and Bosnia Hercegovina was just a formality with no difficulties at all. 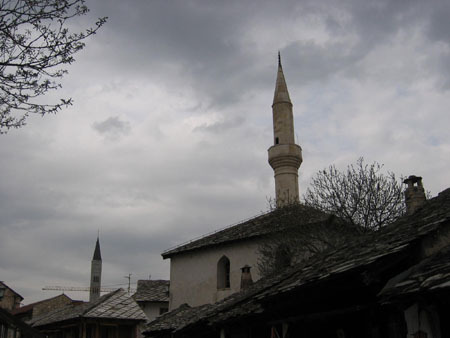 Soon after entering Bosnia Hercegovina you will see the first visible signs of the 90's war. Of course there were also battles in Croatia but somehow we did not notice anything over there. It is incredible how many houses got hit, it looks like most of the houses received at least some bullet holes in the walls. The further you drive into Bosnia Hercegovina, the more visible it gets. Burned down houses, damaged houses but also a lot of recently renovated houses. 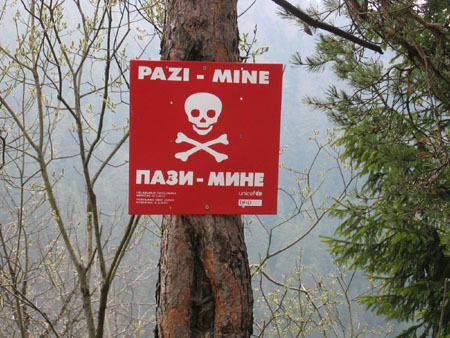 Also important to know, Bosnia Hercegovina is still one of the most heavily mined areas in Europe. Be aware of the warning signs and do not enter fields if you are not sure it is mine free. You never know in which region battles took place and which areas got mined. Don't explore abandonned houses because some still might be booby trapped. It is common knowledge but worth mentioning. 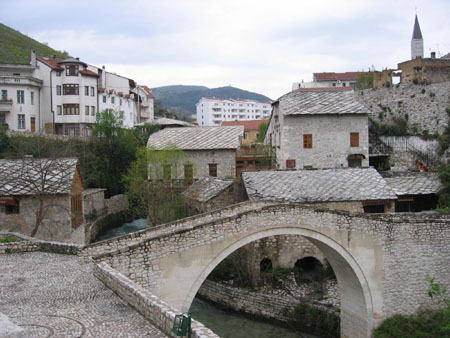 What to tell about Mostar. 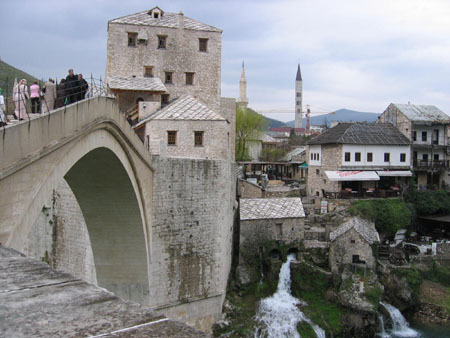 If you were watching the news back in the 90's for sure you remember the famous centuries old bridge of Mostar being destroyed during the conflict. But with international support the bridge was being restored using the old stones which tumbled into the river at that time. 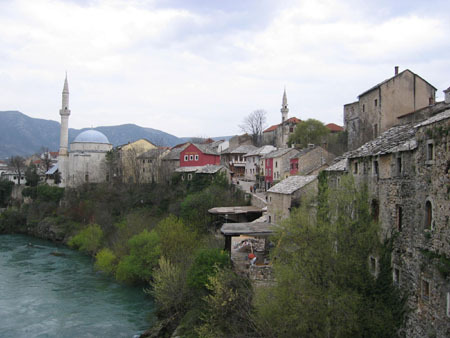 But there is more to Mostar than just the bridge. It was incredibly damaged but repairs are ongoing and you immediately notice the beauty of this old city. Do not look at all the destruction, look at the smalls streets, how the river and the small creeks are fitting into each other naturally. Look at the high hills surrounding Mostar. Just taste history in Mostar. We had a nice lunch in one of the many small restaurants close to the old bridge. Cevapcici, salads, Palacinka (small desert pancakes) and Turkish, sorry, Bosnian coffe. Prices are reasonable and payments in Bosnia Hercegovina can be done in both Euro's and the so called convertible Mark. No idea why they call it convertible Mark but at least calculations are easy. 2 convertible Marks are 1 euro. Expect your change in CM even if you pay in Euro's.